Verrry little time ...... still lots to make !!!! 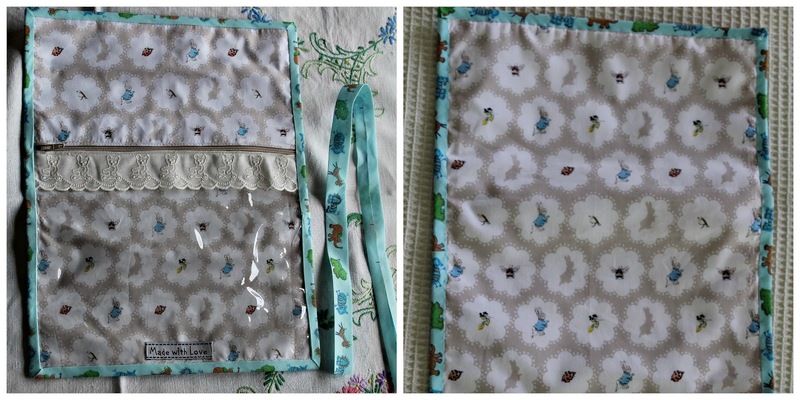 A quick google search for diaper bag patterns & I came across this one here that I really liked .... a decent size & not too fussy. 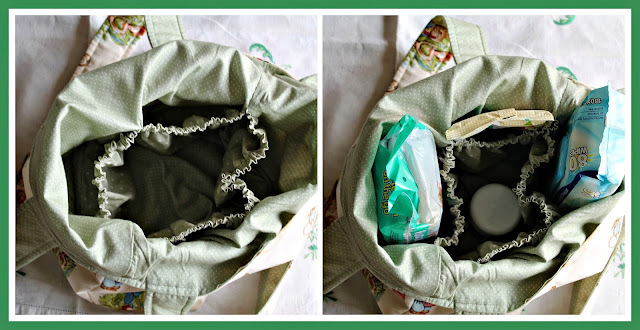 The bag came together quite easily - I tried to use what I had on hand & not have to purchase anything. The green polka dot was a perfect complimentary lining fabric & I had lots of help from a certain quality control officer to ensure my measurements were all accurate !!! I purchased a few baby care products from my supermarket to tuck into the pockets. The one change I made was, instead of using fusible interfacing for the bag I used some thin wadding I had - I find the fusible interfacing too rigid & prefer the wadding which is more pliable. Of course - a label to complete the bag. While chatting to the lady as she cut my fabrics for me, I asked her for some white towelling please to make bibs. She leaned ever-so-slightly across the counter & whispered to me "go over there to those bins, buy a white bathtowel for $5 - its much cheaper & thicker than the towelling & you will get 6 big bibs out of one towel"
Frequently on my trawls through the Op Shops I come across half rolls of wallpaper for 50c - this pale blue was one such find. Ready & Waiting & now we just need baby boy to come into the world !!! However, I had neither the time, inclination, nor funds to go traipsing around trying to find just the right paper serviettes . . . I mod-podged them on along with a small flat vintage lace to "string them together"
I was thrilled with the result & now just have to decide whether the tray is going for sale in the Cottage . . . or going on display in Julie's house!!!! Thank you so much for your entries into my pincushion giveaway & your lovely comments you left me. I am not drawing this til the end of the month so you still have time if you would like to enter. You can leave me a comment on my last post, or on this one here letting me know. Younare so clever with your idea Julie, that is a fantastic gift formthe new baby and the babies Mum!!! She will be delighted. Very clever use of the wall paper, I haven't seen that done before. Not many people seem to use wall papaer over here. I had a chuckle over that tray, my Mum went to cane making classes and she has many like that in her house, it looks beautiful now!! I bet if it goes into the Cottage it will be snapped up quick. Your flowering suitcase looks beautiful, good to see the supervisor is on the job and not snoozing!! Looks like Pippi's measurements are spot on! The bag looks fabulous........luck wee soon to be born baby. The pouch is a great idea as babies sure go through the clothes when they are little. 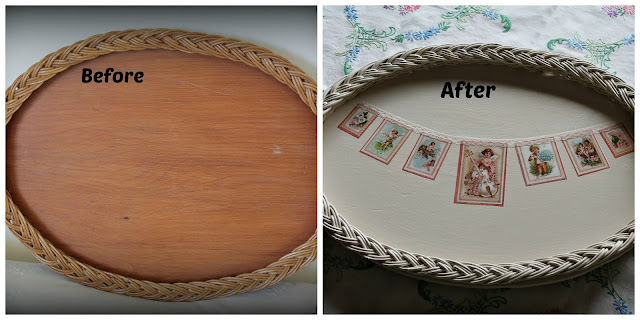 Nice tray makeover........it might be a keeper for you unless someone sees it on your blog and snaps it up! Your lobellia looks much more healthier than mine, mine is looking like a drowned cat! Waiting for a baby to arrive is hard, but probably even harder for your daughter in law! You have made some beautiful things for her and baby, very spoiled. What is it with cats and being helpful? NOT! Toebee tries to help when I am on the internet, walking over the key board all the time. That little suitcase is blooming gorgeous Julie!!! Being a Beatrix fan I just love your beautiful Peter Rabbit bag. Such a lovely gift with all those goodies waiting for your little one to arrive. I,love your tray...you are so clever! A suitcase full of blooms...gorgeous! of my daughters bibs, in a draw somewhere. all over it..! Goodness! Memories! :). flowers always look lovely! Nice array of colour! I expect they smell nice to! a bit later to~day! Sun's out, and, getting warmer! waiting...hope it'll be soon now, my goodness! I remember when my daughter was born...oooooO! God bless! 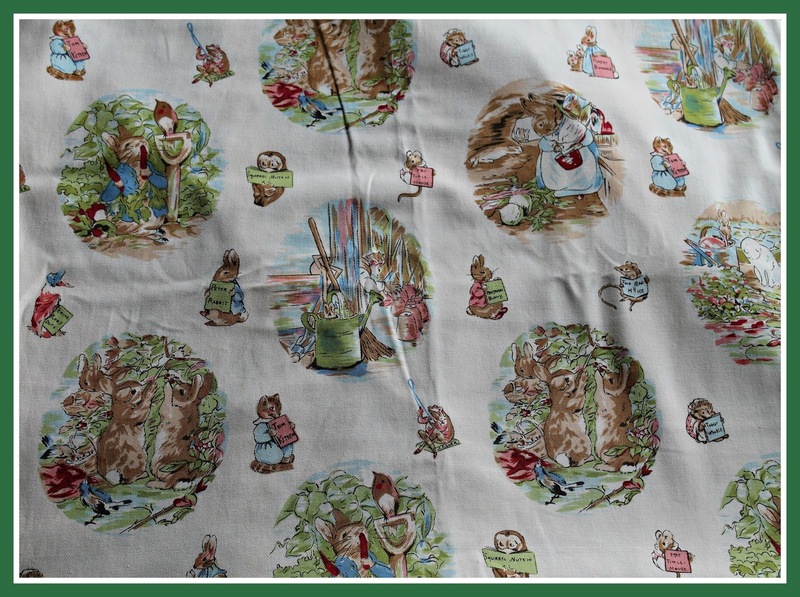 'Keep on sewing'....! :0). Fabulous gift for the nearly-newborn - how exciting to be so close to welcoming a new family member into the world :-) And all bits and pieces the new parents will find extremely handy, too. That modge-podge sure is great stuff - I've never played with it but have seen what you are able to do with it and it looks amazing - as does your cane tray! We're feeling very autumnlike these days too - but this afternoon was stinking hot - bring back autumn I say!! Your grandson is going to have lovely accessories for his babyhood! The bag is brilliant! How smart to include a bag for wet things! The tray is beautiful! 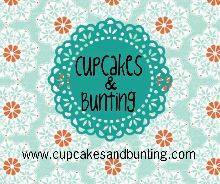 I love bunting and never tire of that look. Kitty help is a given, isn't it? Have a nice week, dearest❤. You put me to shame Julie with all your sewing and crafting! Love everything you have made for bubs, he will be one lucky boy with a Nana like you!! So many cute things for the coming baby.. he will look very nice in all those cute stuffs..
Hi Julie wow what wonderful gifts you have made for the new baby,how exciting for you all. I love the bag and all its accessories. The tray is perfect too. I remember trays like this from my childhood! Great job refurbishing it! I definitely think that beautiful tray should stay with you. It is very sweet. Love all the pretties you have made. 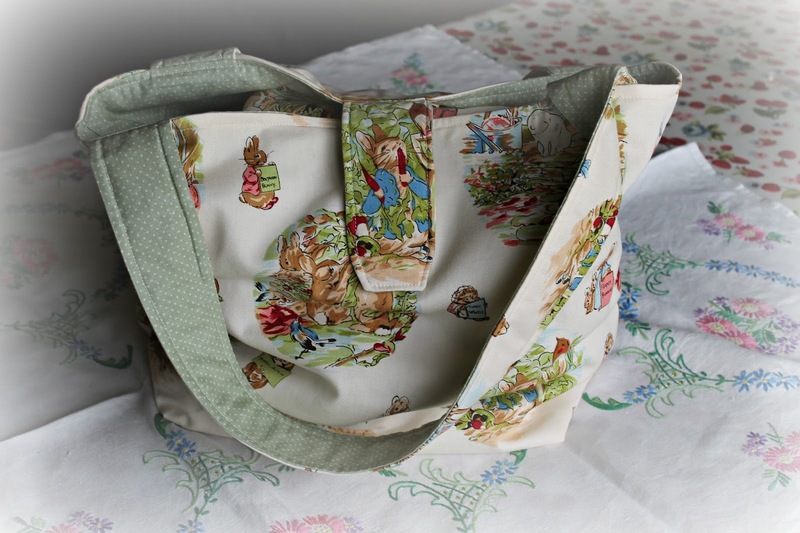 Gorgeous bag and what sweet Peter Rabbit fabric. Oh how pretty your suitcase of flowers is; it has put a smile in my day, lovely Julie. The top fabric brought back a flood of memories it is what I used to decorate our sons room nearly 21 years ago... curtains and cot cover. Dear Julie delightful and inspiring as always. What about a christening gown for the lace or perhaps they are no longer in fashion. Always waiting for your next blog with anticipation.